It's "Hearts Month" once again and I can imagine the stress most people are going through just to find a perfect place to celebrate Valentine's Day. 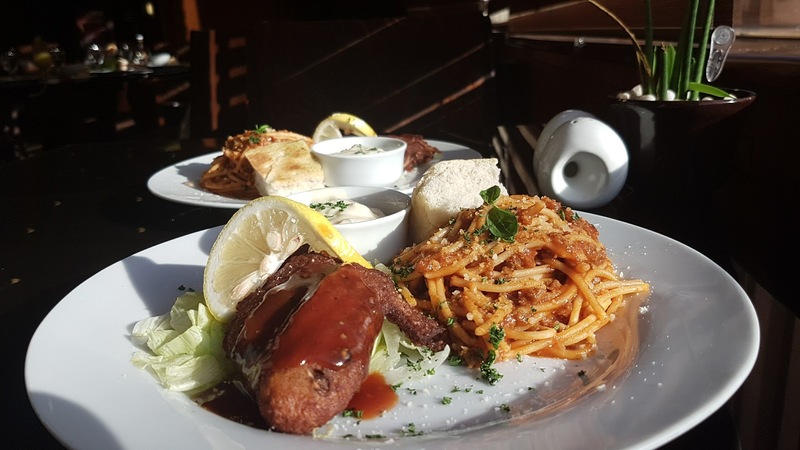 Romantic, intimate, cozy and budget friendly date are some of the considerations when planning a treat for their loved ones. Worry no more because I discovered a place that will make everything happen! City Garden Hotel Makati launched their COUPLE TREATS menu which runs from February 1 to 28, 2017. 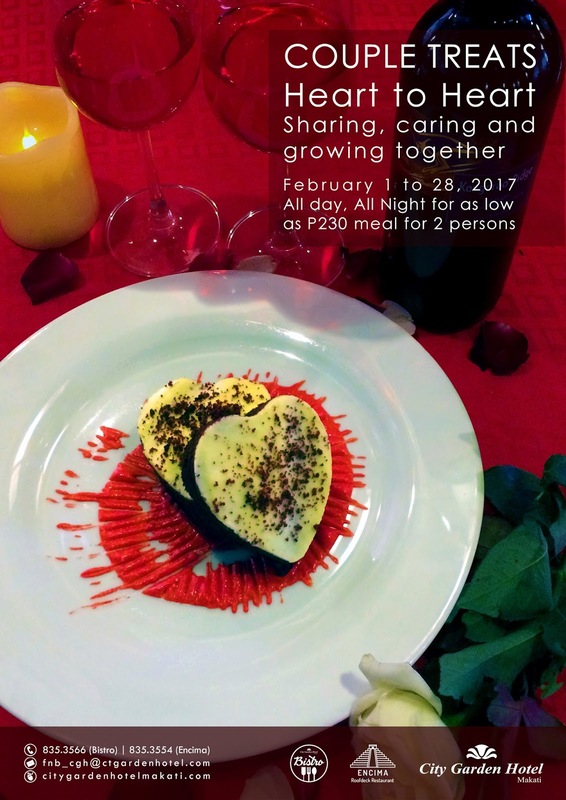 You may enjoy a hearty, sumptuous set meals for as low as PhP 230.00 plus a complimentary Red Velvet Cake over Strawberry Ganache. How awesome right? Everything is good for two (2) persons so you're getting the most value for your money! Let me walk you through with the said promo. Combination of Soup of the day and Deconstructed Caesar Salad. 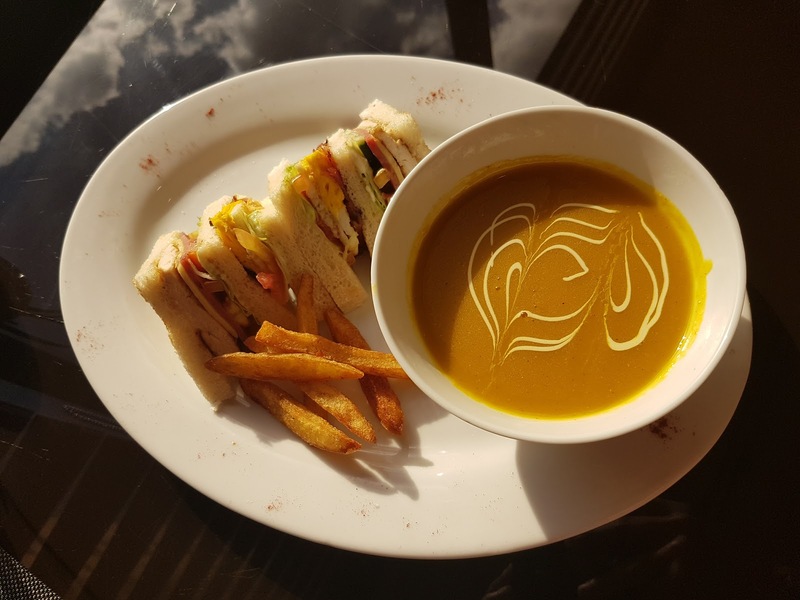 Combination of Soup of the day and Clubhouse Sandwich. Combination of Spaghetti Bolognese and Chicken Wings. All combinations are good for two! So for example you'll be getting the Soup and Pasta combo, it will only cost PhP 200.00 per head. Pretty affordable right? You might have doubts about how it tastes like but I can vouch for it. 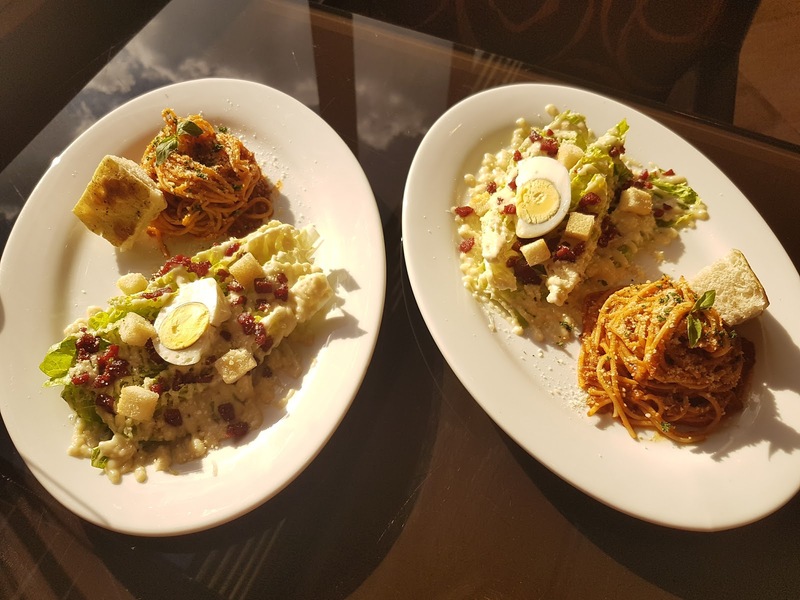 The Deconstructed Caesar Salad will surprise you. I swearI! I will not share what's special about it because I don't want to pre-empt your experience. Out of the combinations, my personal favorite is the Salad and Sandwich. 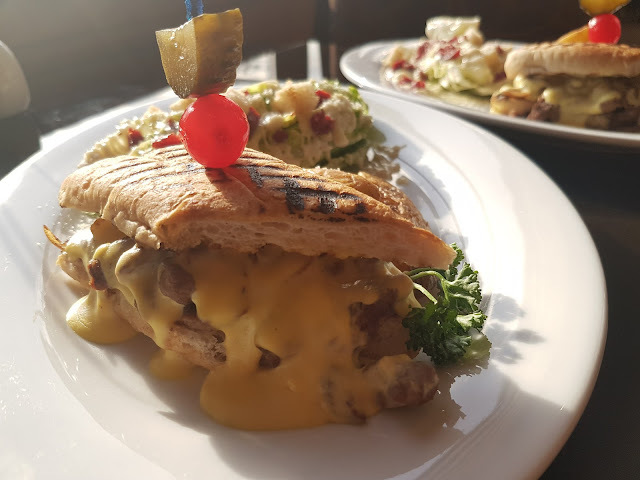 The Philly Cheese Steak Sandwich is a hit! City Garden Hotel Makati also devised a special 3 course meal which they will be offering on February 13, 14 and 16, 2017. It includes Tropical Salad, a choice of either Charboiled Red Snapper Fillet in Pineapple Coriander Buerre Blanc with Spinach Risotto or Grilled Beef Tenderloin in Orange Grape Brown Sauce served with Pumpkin Gnocci or Tournedos of Herbed and Cheese Stuffed Chicken, and a Love Boat dessert valued at 650 nett. You will not only have good food but also a good view of Makati skyline because this will be served at Encima Roofdeck Restaurant. For this deal, reservation is required. Imagine this view at night! 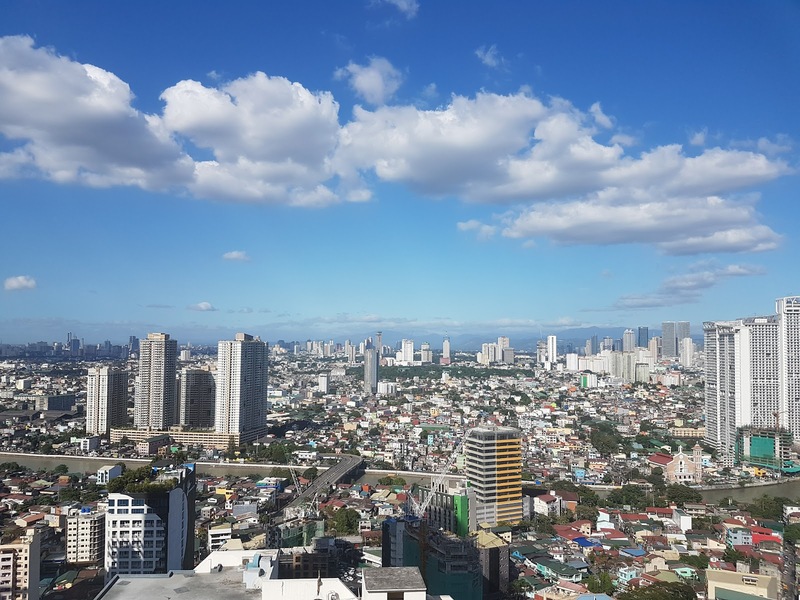 During the time I was talking with Rinna, F&B Manager of City Garden Hotel Makati, about how people have this stigma of spending too much when you dined in to a hotel, we agreed that it's not always true. Most of the time, people really get the value of the money they're spending. 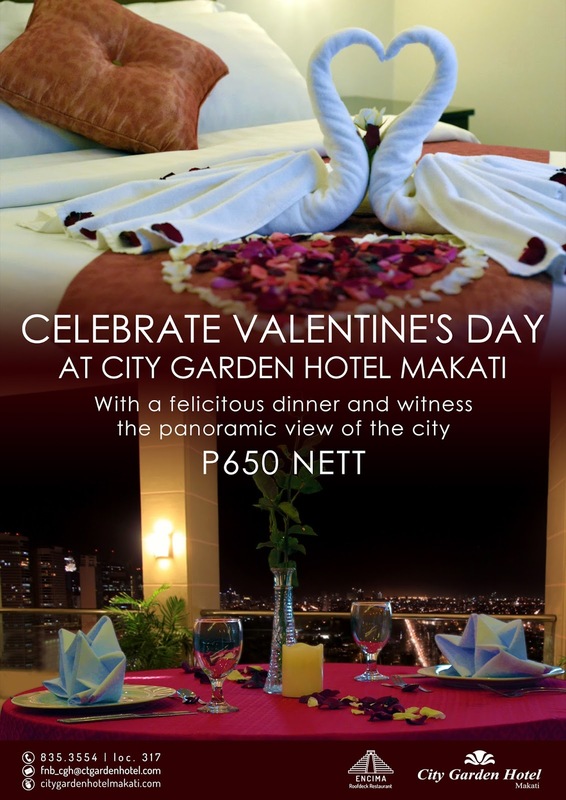 I am glad City Garden Hotel Makati is one of those hotels who offers such good deals. I hope this post helps. I heard reservations are almost full so hurry and booked yours now!